The durable and colorful coating provides for an easy grip and nice appearance. 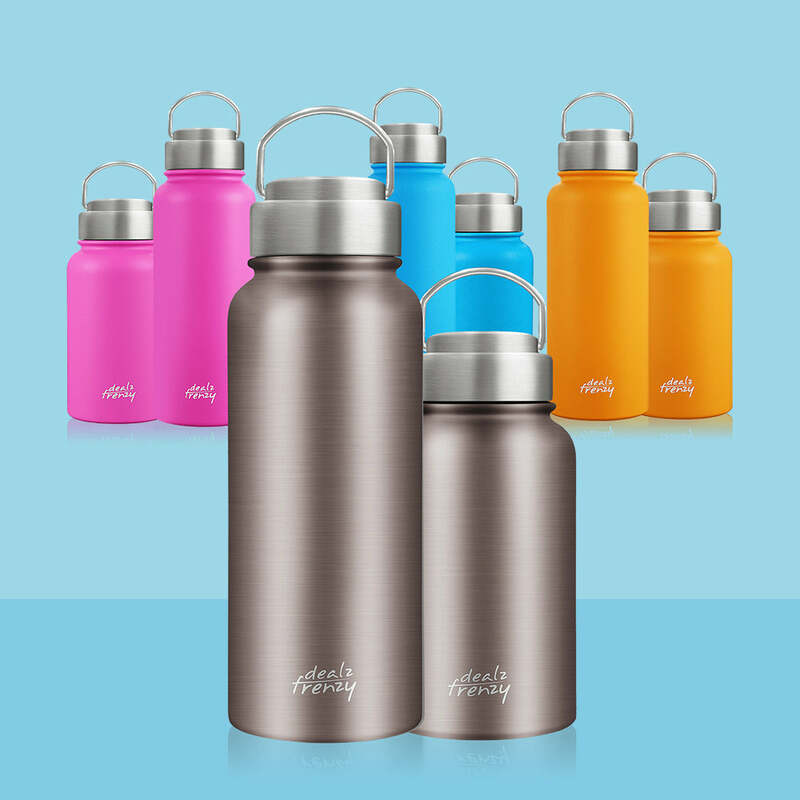 Real stainless steel water bottles - vacuum insulated double wall water flasks have sleek design, keep your drinks cold for 24 hours and hot for 12 hours-no matter what the weather’s doing outside. When you hold reusable water bottles, your hand is no sweat and condensation. The eco-friendly and healthy colorful coating exterior adds an anti-slip grip and durability. 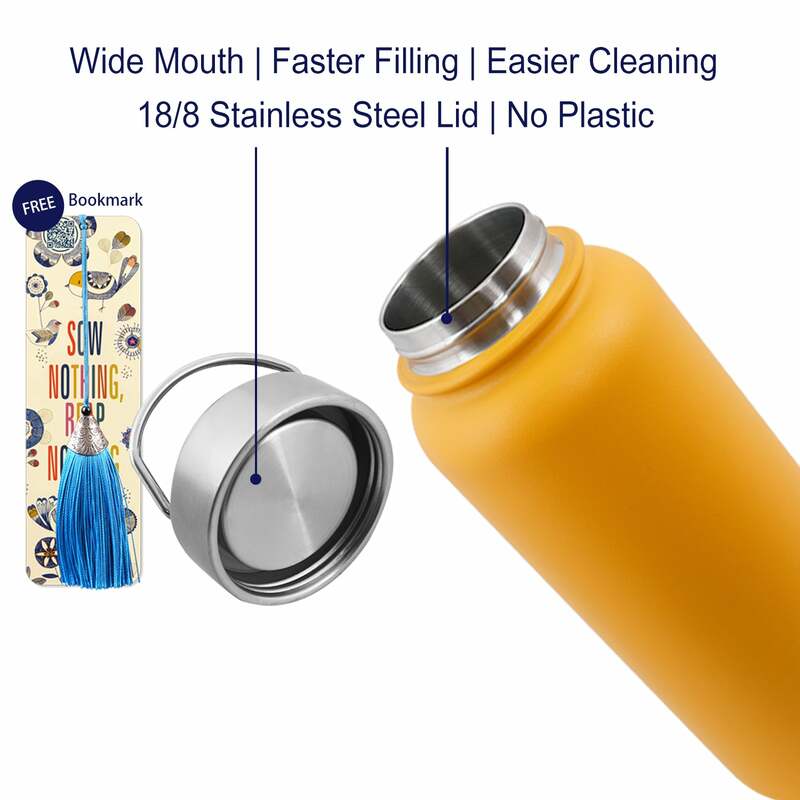 Vacuum insulated wide mouth flask is easy to clean. 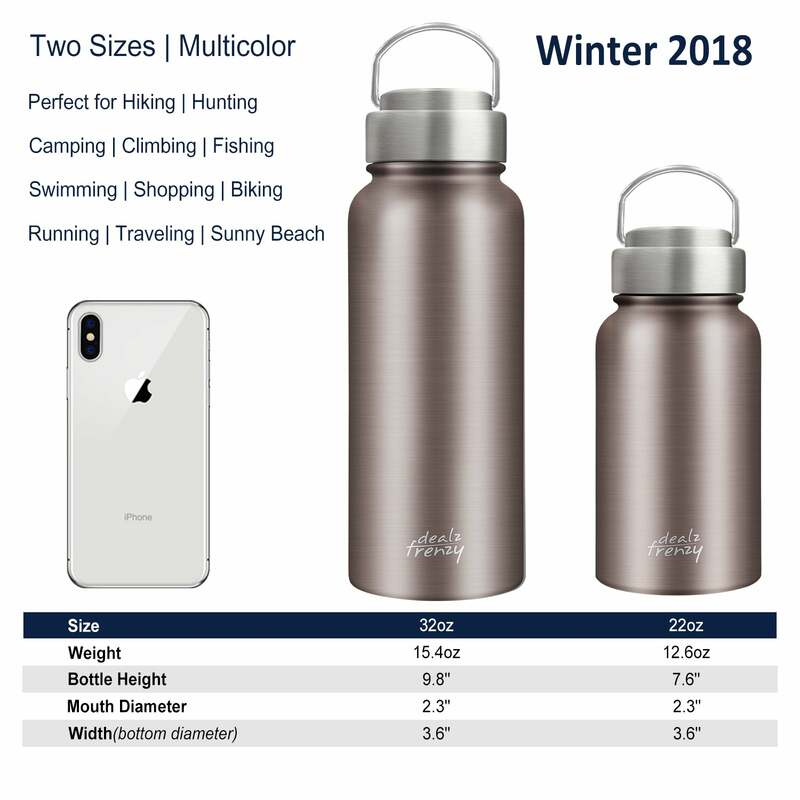 The stainless steel water bottle fits in your vehicles' cup holders and bicycle bottle racks, and is suitable for hiking, camping, or outdoor recreation. 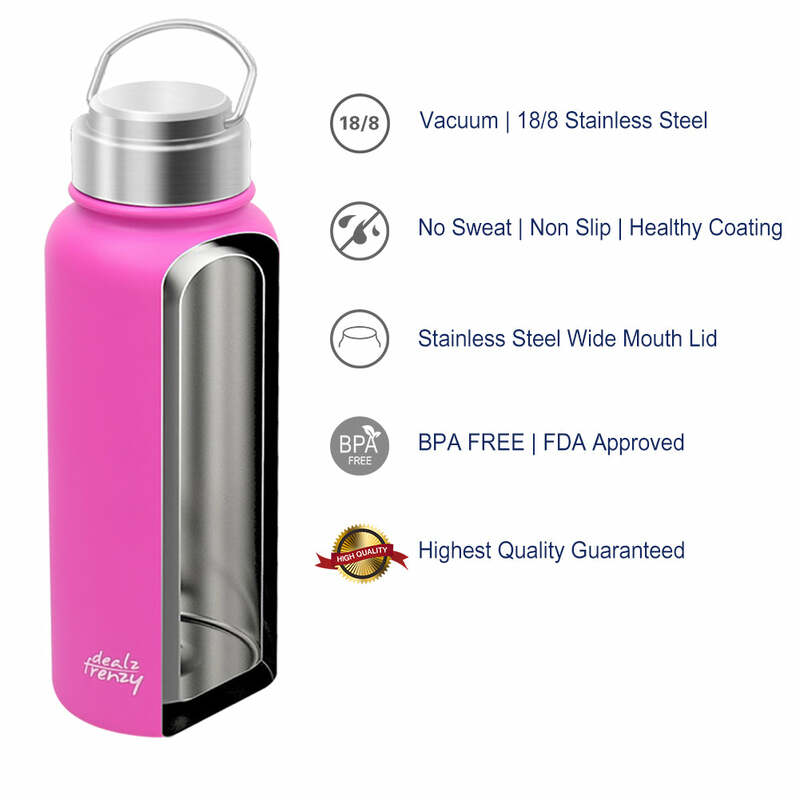 The water flask is made from food-grade stainless steel material which is BPA free, healthy and non-toxic, FDA approved. You can drink it directly without any worry. 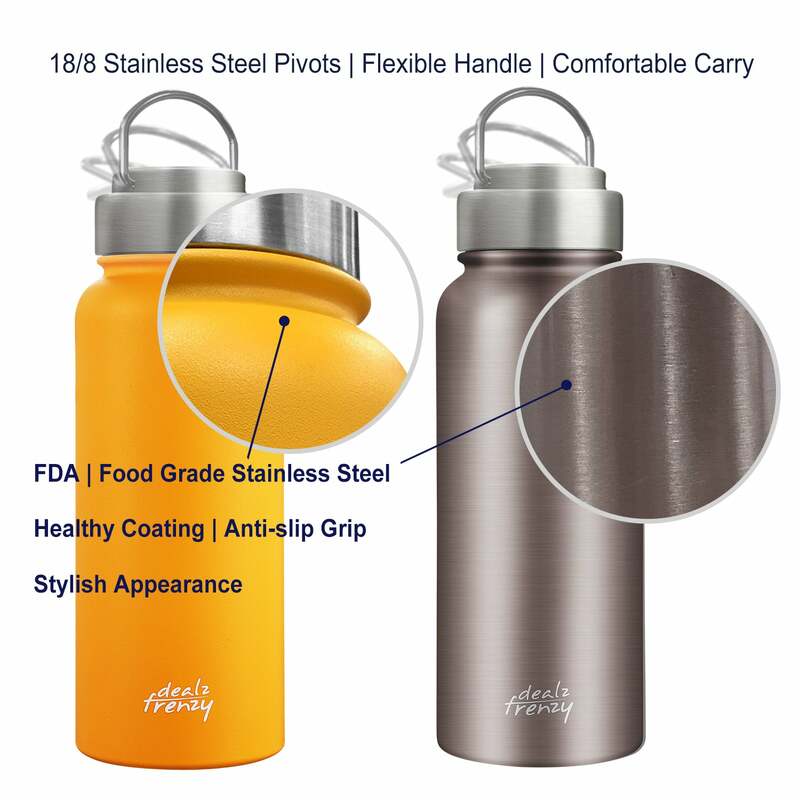 Stainless steel design means your drink will never touch plastic. The perfect accessory for your life adventure. "HOT STAYS HOT,COLD STAYS COLD"
Stainless steel material, electrolytic inner liner, healthy and non-toxic, smooth and tasteless, store water with good temperature for you.